Moncton, New Brunswick is located in eastern Canada. It has a population of 69,074 (34.45% of residents are above the age of 60). It is the 5th fastest growing Census Metropolitan Area in Canada and the fastest east of Saskatoon (2011 Census) and identified as one of Canada’s best cities in which to retire by 50 Plus Magazine. • Hiring a Seniors Recreation Coordinator to deliver recreational programs to seniors in the community. • Developed a Senior-Friendly Business Program to recognize those businesses that have instituted, demonstrated and promoted best practices toward independence and services to seniors. • Collaborated with the City’s Fire Department to develop a Senior Registry that helps protect seniors during an emergency or crisis. • The Chair of the MSAC writes a bi-monthly column in the local newspaper providing seniors with information on a variety of senior-related topics. • Seniors sit on many of the City’s committees, boards and commissions to ensure the needs of seniors are taken into consideration. • The committee provides feedback on major City projects/issues. Various studies and surveys were conducted to determine how to improve the city’s liveability of our seniors including the Older Adults’ Needs Survey (November 2012) which was used to develop our 5-Year Age-Friendly Community Action Plan (approved by City Council December 15, 2014). 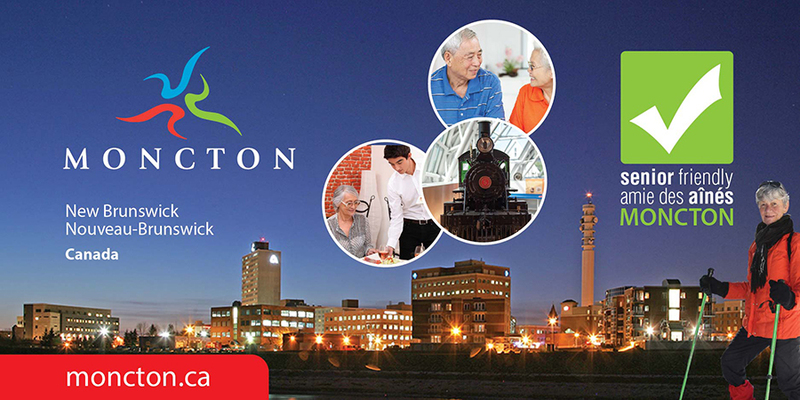 The plan is based on the WHO’s checklist of age-friendly cities and will be used as roadmap to continue to make improvements and ensure Moncton is an age-friendly community.